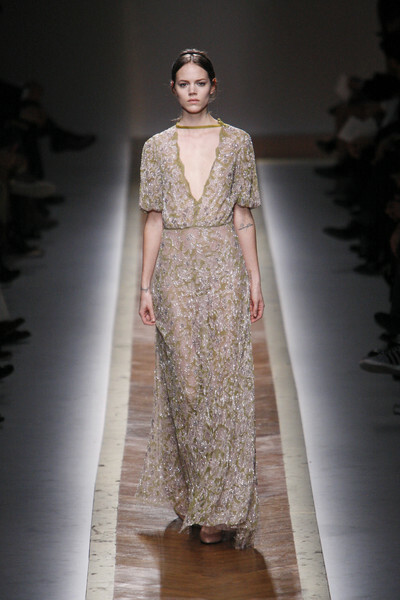 The new Valentino is not red anymore, but a variation on nudes and blushes, a fitted dress with flared skirt and long sleeves, sometimes short, sometimes longer. 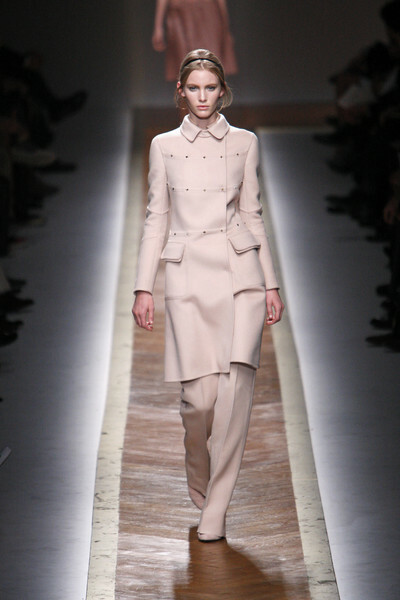 The fall-collection looked pretty and ladylike, wearable, cleaner and also sportier. 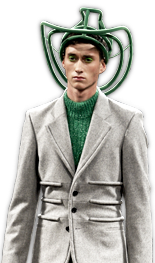 There was a Sixties cut in the dresses, jackets and swingy skirts but more casual. 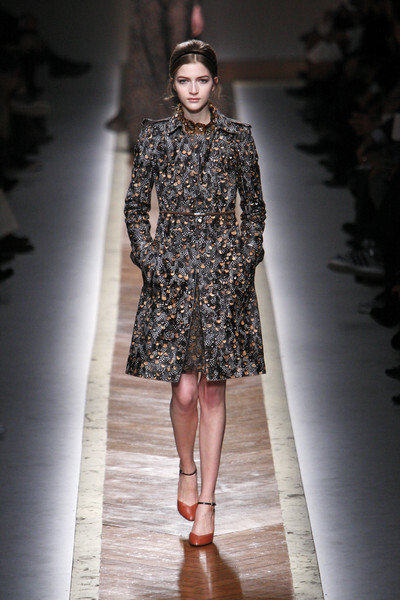 Designers Chiuri and Piccioli introduced also deeper colors, like navy and oxblood on fur coats and leather trench-coats. 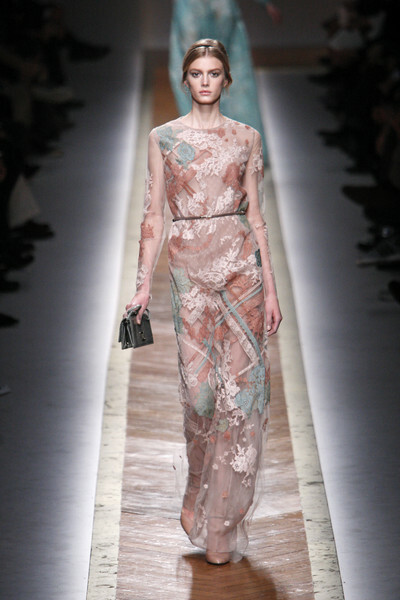 The sheer silk tops, pleated skirts and long, slim evening-gowns were done in lighter colors and fabrics.